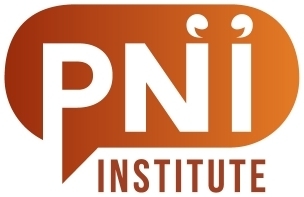 The PNI Institute is a membership organisation for people who seek to improve the methods and tools of participatory narrative inquiry. Our mission is to actively share new ideas and engage in open, creative conversations and collaborations in order to continually improve PNI theory and applications. The founding members of the institute share a deep interest in quality in our work. We continually seek out new ideas, rigorously test attractive-yet-unproven theories, discard what does not translate well to practice, and improve what works so it works even better. We never want to become complacent or lacking in self-awareness. We would like to attract others who share our quest for continual improvement. Our founding members have long histories in narrative-based methods; have contributed to theory and practice; and have founded or are board members of narrative-based companies. However, we do not envision the PNI Institute as a wheel around our hub. We see the formation of the founding group more as the planting of a seed than the founding of an empire. We hope to see the institute grow in an organic way into a self-organised network of equals. The founding group of the PNI Institute is also marked by our diversity. We have experience in ecology, chemistry, complexity theory, psychology, and animal behaviour. We would like to increase this diversity still further by engaging with a variety of people: academic scholars, groups, and institutions; independent scholars; entrepreneurs; writers; journalists; teachers; artists; volunteers. We would also like to engage people from several fields related to participatory narrative inquiry: participatory action research, narrative inquiry, narratology, oral history, qualitative and mixed-methods research, participatory theatre, narrative therapy, cultural anthropology, sociology — just to start. We are also interested in engaging with people who use other participatory or story-based methods, such as Appreciative Inquiry, Most Significant Change, World Cafe, Open Space, and so on. It is fitting that a society whose goal is to further participatory narrative inquiry be itself participatory. We came together in part because we felt a need to share ideas with each other. We also discovered that we also care passionately about spreading the use of narrative methods more widely and freely in the world. For this reason the PNI Institute will be a forum for the open exchange of knowledge and ideas benefiting all. Our founding members are all playing, in the words of James P. Carse, an infinite game: one where winning means winning the right to keep playing. We all want to keep doing this work for a long time. Therefore, one of the goals of the PNI Institute is to discover new collaborations in which its members can obtain funding to do quality PNI work, whether with public, NGO, academic, or commercial funding. We hope to find mutually beneficial ways to sustain all of our work in this area. PNI2 stands for Participatory Narrative Inquiry Institute. The logo has been designed by rem-brand, who participated in a logo tournament based on our brief of the design elements we wanted in a logo. The logo had to promote participation and the exchange of stories. We quite like how rem-brand incorporated people and story exchange in the logo.